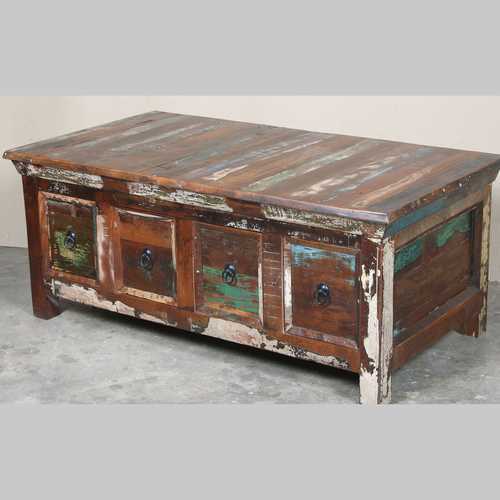 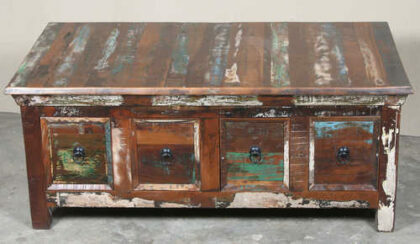 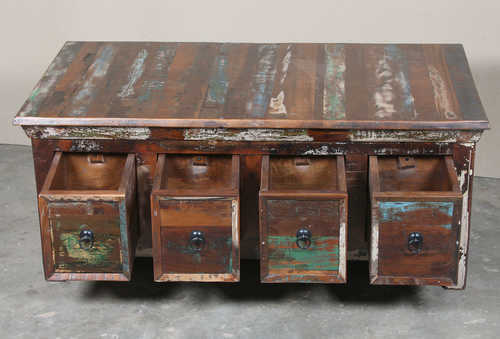 Large coffee table with eight box drawers, made from colourful recycled wood. . 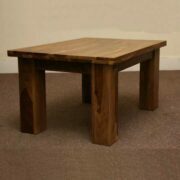 These large coffee tables are perfect for those who have a lot of items knocking around that need organising. 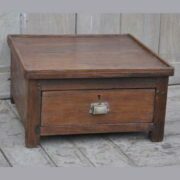 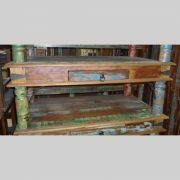 With eight spacious box drawers, four on either side of the piece, this coffee table is perfect for those with lots of arts and crafts materials, DVD’s, toys or anything else that needs tidying away without being too inaccessible. And what a colourful way to organise your possessions! 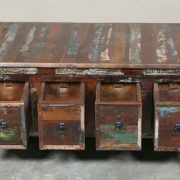 Made with recycled wood, the finish of the piece is a combination of varying textures and shades of wood grain and streaks and splashes of distressed paintwork of varying colours like (though not exclusive to) blues, greens, yellows, creams, purples and reds. 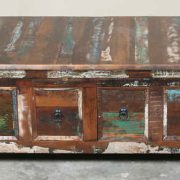 The piece is darker in its finish giving it a deep brown feel that is lightened by the contrast with it’s colourful paint work. 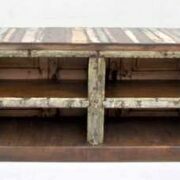 The top is made from strips of wood of varied colours, creating a lovely striped effect and the piece also has panelled sides. 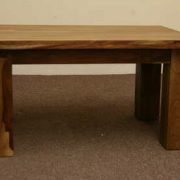 Each of these coffee tables will have a slightly different colouring so don’t hesitate to contact us for a closer look at what we have in stock if you’d like to.